Lush Fab Glam Inspired Lifestyle For The Modern Woman: New Movie Trailer: 'Dark Tide' Starring Halle Berry & Olivier Martinez! New Movie Trailer: 'Dark Tide' Starring Halle Berry & Olivier Martinez! ﻿New Movie Trailer: 'Dark Tide' Starring Halle Berry & Olivier Martinez! Here is the official trailer of Halle Berry's upcoming movie 'Dark Tide' which she stars in alongside her current beau Olivier Martinez. According to IMDB the movie was filmed in South Africa last fall and is centered around a deep diving instructor (played by Halle) who returns to deep waters after a near fatal encounter with a great white shark. 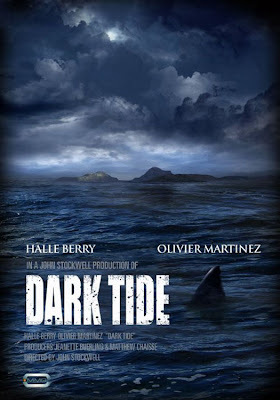 Olivier who plays the role of Halle’s husband in the movie “chooses ambition over his wife’s safety in a split second encounter with the jaws of death, leading to their marriage nearly falling apart.” Take a look at 'Dark Tide's' official trailer below. What do you think of Halle's new movie and will you go see Dark Tide when it hits theaters? Leave a comment below. Yea it does, they should just call it jaws returns and takes a bites into halle lmfao! lol bet she tastes good too! dats such a guy thing to say @perv G.
Anyways movie looks ok nothing special. My site is on [url=http://healthyrecipeforweightloss.blogspot.com]Weight loss recipes[/url]. Love it! I know that if I can't make being fit and losing weight fun, I will never get the motivation to do anything healthy. I always run with my dog around the city or in the hills when I can. I'd rather not lift weights in front of a mirror for an hour or run around in circles on a track. Eating food with no taste isn't going to help you to lose weight either. I try to look for fun and delicious food to cook so that my brain associates eating healthy with great tasting food.